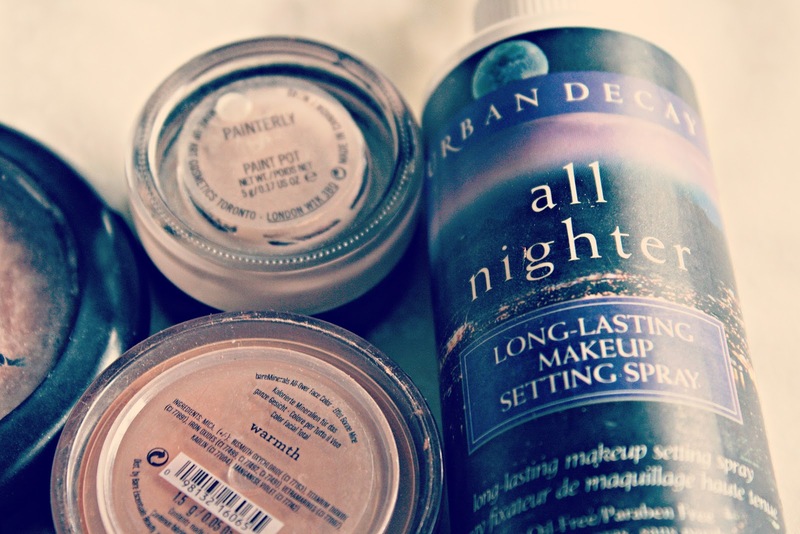 We all have those products we buy time and time again without fail. 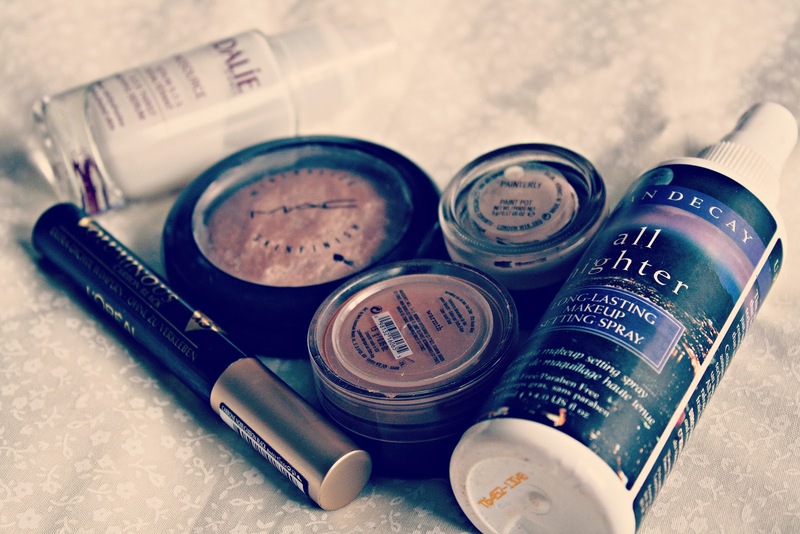 I do love seeing posts or videos about what others would repurchase. It just shows that that person has really used and loved that particular product that they cant not have it as part of their routine, so I figured I would do a little post of my own. These products here are items I will repurchase or have repurchased before. I have talked about my love for this product before. I love it! It is a bit on the pricey side, but I fear that the dry patches I had before will reappear if I dont buy a new one when my current bottle runs out! So I am willing to part with the cash! My skin drinks this stuff up and it thanks me for it! It's a given that this will stay in my skincare routine from this day forward! I've noticed an influx of posts and mentions in videos about this MSF, and with good reason too. It is a really beautiful highlighter. It gives you the perfect golden glow! A sweep of this across my cheekbones finishes off my look, It makes my skin look lovely and radiant even on the days where I am feeling a bit 'meh' I personally think the price tag for it is reasonable as it does last you ages! I try out different mascaras but I always end up coming back to this one. I always purchase this in Carbon black. Its a great mascara that really thickens and lengthens my lashes. I often get asked if I am wearing false eyelashes when I use it! It's an affordable repurchase at just under £9, Ive lost count how many tubes of this I have gone through. My go to eyeshadow base. This particular paint pot doesnt really have much of a colour to it, so it isnt one that you can really use on its own like other shades, however as a eyeshadow base it is excellent. It really keeps my eyeshadow in place all day and ensures that the shadows I use look a lot more pigmented than if they were applied without a base on the eyelid. Price wise, because these last forever, I've had mine over a year now and its still going strong! You do have to make sure you screw the lid back on tightly because these have a habit of drying out if not done up properly! I got this in my starter Kit Tom bought me for my birthday. I admit I have been loyal to my liquid foundation in recent weeks, however this Warmth bronzer has been a staple in my routine. A little goes a long way so you have to be careful with it. 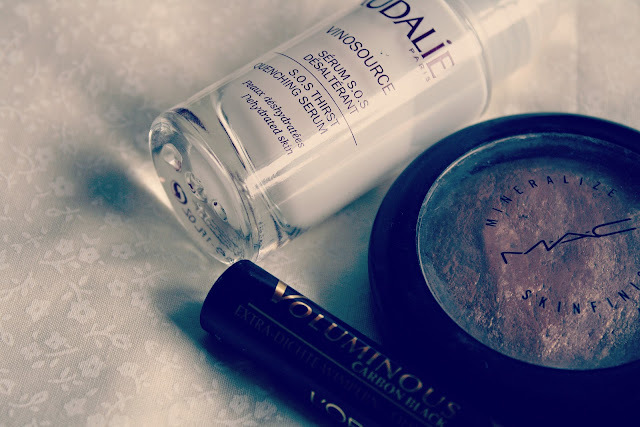 However it gives the lovliest bronze to your face, and its great for contouring. I will definately be repurchasing when I run out! If you have read my review you will know that this does a great job of setting my makeup and keeping my eyebrows in check! I still have a lot left so it will be a while untill I need to repurchase, however I couldnt go without this setting spray now. Its something that will forever be in my routine! If you do a post or video similar to this do let me know. I'd love to see what products you would repurchase! 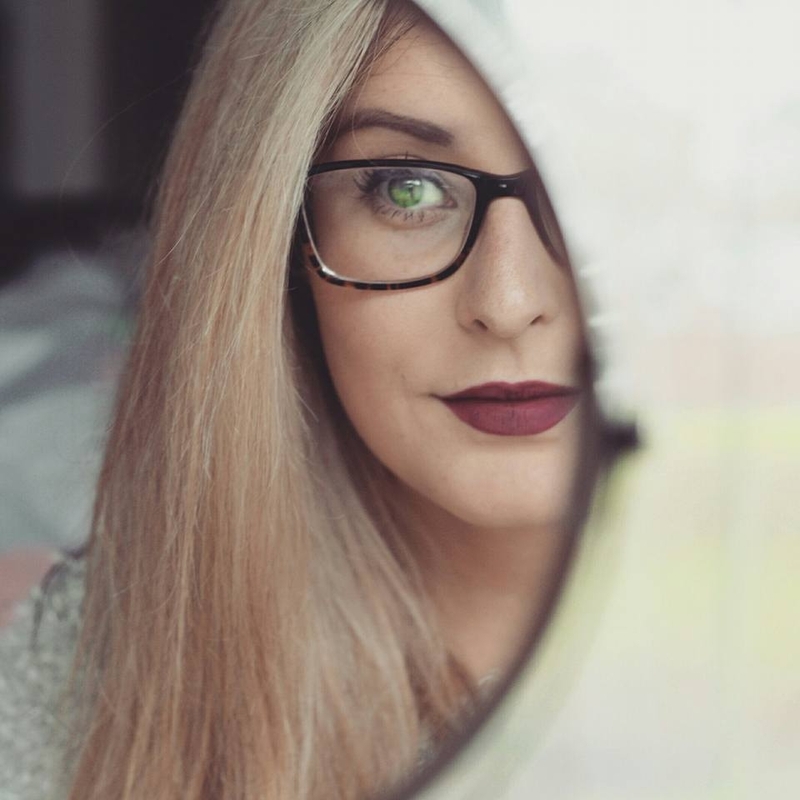 I'm sure most of you are aware that I am a glasses wearer - I mean you see me wearing them from time to time on here/instagram dont you, so you should be aware! I do hate having my eyes tested and picking out glasses though. Noone wants to go through the process of having air blown into their eyes, lights pointed directly into them and be forced 'not to blink' when having a photograph taken? But its something I have to do.. I then get told I'm going even more blind (ok a bit extreme..but my eyes are getting worse) and then have to spend half an hour (or sometimes longer) trying on multiple frames in store, when really I'd rather be shopping for clothes or makeup, lets be honest we'd all prefer the process to be a bit quicker and easier. 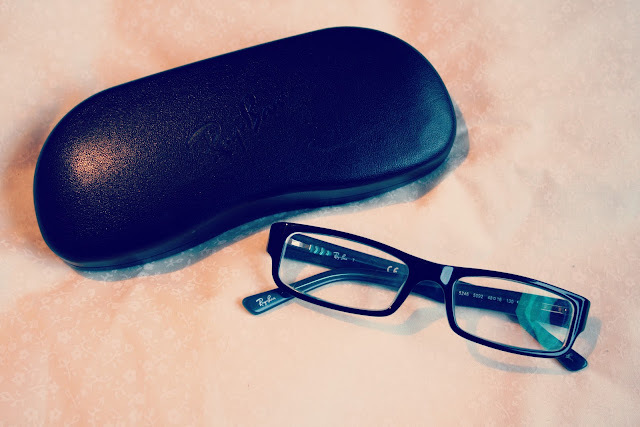 I't had never even crossed my mind to purchase my glasses online, less hassle than facing the town center on a busy saturday morning and also allowing me to justify in a cheeky online shop in some of my fave shops online. So when Pretavoir contacted me asking if I would like to review some frames from their website, I thought, why not? I admit, at first I was tempted to treat myself to something designer, there's a variety of brands avaliable ; Tom Ford sunglasses & Chanel sunglasses to name a few. (I was really tempted with the Chanel to be honest, those bows on the arms are so cute) But I resisted the urge and gave myself a talking to. 'Be sensible, your prescription has changed, you need new frames for day to day wear as your current ones are falling off your face/scratched to pieces!' After browsing the site and looking for some frames that were a similar shape and size to the current ones I owned, I decided on some Ray Ban glasses (model 5246). A few days later they arrived. Speedy delivery! They came wrapped in black tissue paper inside the box which I thought was a nice little touch, it felt like I was opening a present! Inside of course was a classic black Ray Ban lens case, inside housed my beautiful new frames and a cleaning cloth. A nice added addition was a seperate cleaning kit. (These are provided free of chargewhen you purchase certain frames) Such a handy little kit. 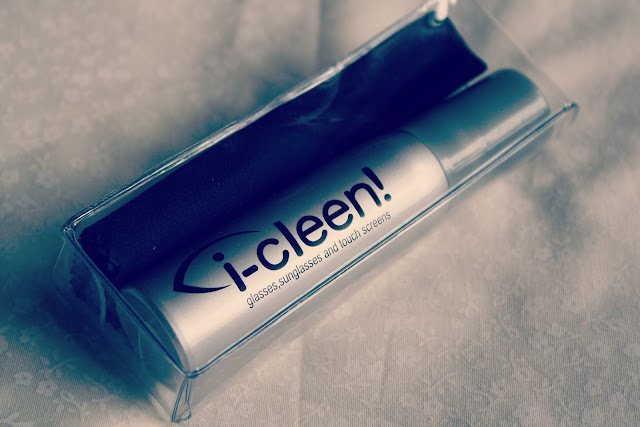 I dont know why it is, but I seem to create smudges on my lenses all the time so this is a nice welcome addition that is now housed in my handbag ready for any emergency clean ups! The frames fit me perfectly. I think it did help that I purposely looked for styles that were similar dimensions and shape to the frames I had previously owned. I do think that if you wanted to go for a brand new shape or style, it would be better to go in store. Pretavoir do have a store in Glasgow if you happen to live nearby! I've never considered prescription sunglasses before, however seeing the price of the frames on this website it may be something I would consider when Spring or summer rolls around. I know they would be a good thing to have if I ever decide to learn to drive! The amount of times I am in the passenger side of Toms car and I cant see because of the sun, so god knows how he could see! 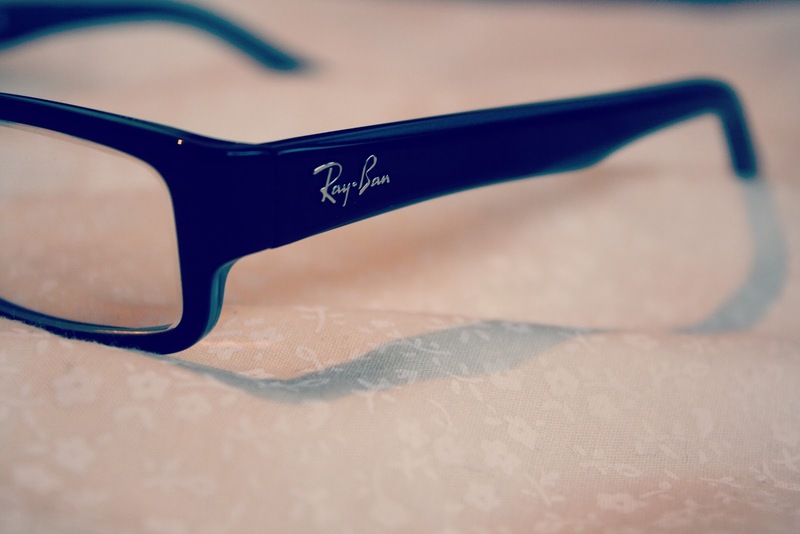 Being so impressed with these frames I would be tempted to go for some classic Ray bans. Having long hair means that there are times when it gets really knotty, and god it is annoying! Brushing your hair when wet with any old brush is really damaging, and as I have started my mission to give my hair that little bit of TLC and treat it better, I felt it was time to invest in a decent detangling brush. I used other de tangling brands in the past (Tangle Teezer I am looking at you) and even though it did work for me in regards to detangling, the shape just wasnt for me. When your hands are covered in product or wet in the shower, using a brush that looks like a clam in your hand without a handle, usually means it ends up going flying across the room. The more times it happened, the more annoyed I got with it. 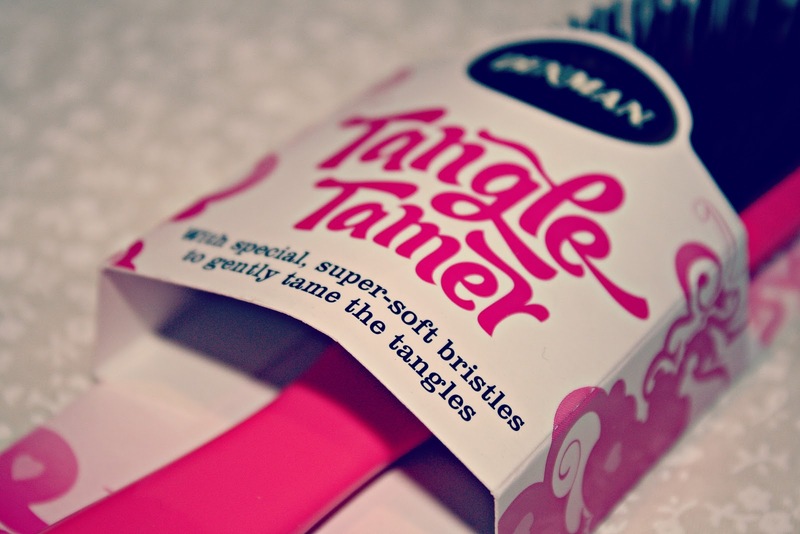 So when I spotted the Denman Tangle Tamer brush in boots for a around the £6 mark I thought I would give it a go. 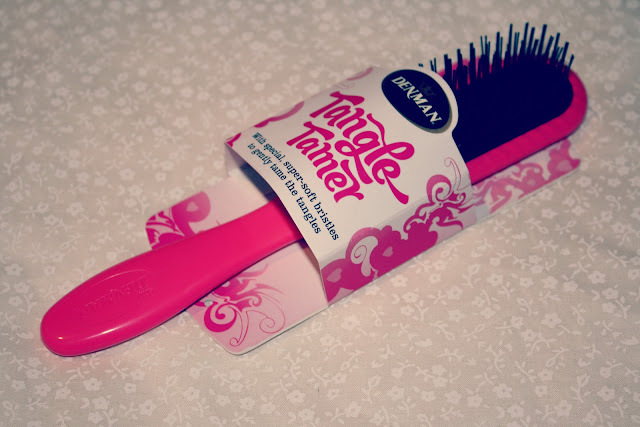 The Denman Tangle tamer brush is actually advertised as a hairbrush for children, but I say screw the rules, I'm 24 and I am going to use it because it is amazing! Unlike the Tangle Teezer the Tangle tamer has a handle. BIG PLUS. No more throwing my brush across my bedroom and nearly whacking Tom in the face. It's just so much more comfortable to use, I could never go back to using a brush without a handle now. The nylon bristles of the Tangle tamer are much longer and flexible than the Tangle teezer which sports plastic bristles/teeth which over time do curl at the end, making it less effective!. I have found that this brush glides through my hair with minimum effort, sometimes with the other brush I would have to atttack a particularly knotty area a few times before I could brush through with ease. Whether my hair is wet or dry, the Denman tangle tamer does what it is meant to do and detangles my hair without me flinching or getting annoyed at the impossible knots I have to untangle. I can totally understand why this is aimed at children though. When I was younger I had crazy long hair, Id sit on my parents bed for ages waiting for my mum to get through my mane with a rubbish little brush, while I just cried and told her to leave it half done! (I think anyone who had long hair as a child can relate!) At about the £6 mark its a lot more affordable than the tangle teezer and in my opinion a lot better. Some of you may feel that the Tangle Teezer is the bees knees, but for me the Denman Tangle Tamer gets the top spot. Want to know how I clean this hair brush along with my others? Cleaning your hairbrushes is an important step in your beauty regime, which you shouldn't forget. Click here to see how I clean mine. 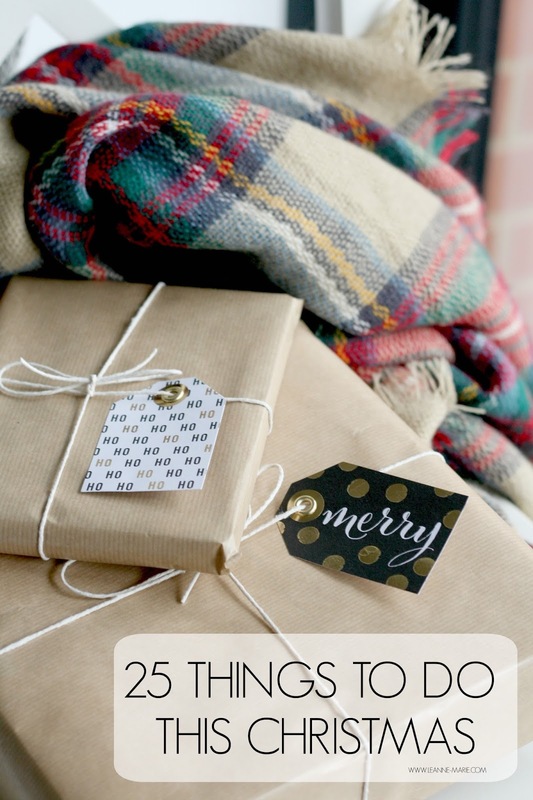 Woah, I bet you all thought I had forgotten about this little series I had running on my blog. I didnt forget, I just didnt use the samples up as regularly as I did when I first started! I'll be honest, it has moved on from sachets (even though I do have a few sachets still to get through) and more onto using up minitures that I have floating about, hence why it has taken a little longer than before! I still class minitures as samples. If I want to try something new, I try to get a miniture or travel size first to have a little play with before parting with the cash for full sized - unless there arent any avaliable so I just go for it with full size and take my chances! So I have a few products to share with you that I have finished, So I will get on with my mini reviews! I got this shower gel in a Glossybox a while ago I think. It smells so lovely and lathered really well using one of those shower/bath scrunchie things (I know you all know what I mean) It is a bit of a luxury purchase for a shower gel/bath soak at £20.00 but would be something nice to have if you want to treat yourself and have a bit of a pamper no and again. Clarins Extra Firming body lotion. Again another sample that I received in a Glossybox some time ago! If I am honest I didnt really see much of a difference in regards to firming, however it was a really nice body lotion to use after the shower. It wasnt sticky and sunk in relatively quickly compaired to other brands I have tried. It's quite expensive and I didnt see that much of an effect so I dont think this would be something I would pick up for myself full sized. A lot of people sing praises for this facial exfoliator, so I thought I would pick up a miniture size of it to try out, I can see why it gets so much praise. The scent is nice, not too overpowering. The granuals in the scrub itsself arent too harsh on your skin, gently exfoliating the dead skin away. It did leave my skin feeling really soft and looking a lot more radiant. I could see myself picking up a full sized tube of this on my next trip to boots! I know I wouldnt call this a sample really, but its a miniture can of dry shampoo and some of you may not have tried it! 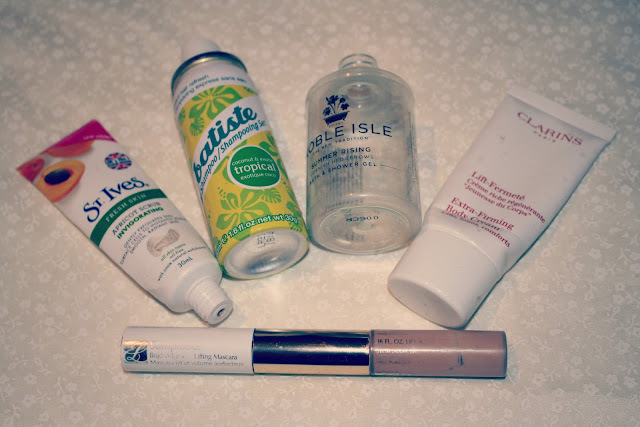 (although I think everyone has tried Batiste!) I love the scent of this particular version. It reminds me of holidays! Works well as a dry shampoo, just hate the white residue you get especially when you have dark hair! - yes I know you can get some specifically for dark hair! Yes, this miniture will feature in this post! I got this as a gift when I purchased some items from Estee Lauder a while ago. Being a big fan of the foundation I had high hopes for the concealer. I have to say I was impressed. The coverage and staying power of it was amazing. It lived up to the hype its sister (the foundation) gets in the blogging world/life in general! Only downside is that I am a fan of the collection concealer which is a fraction of the price and works just as well, so I have to say I wont be buying a full sized concealer! The opposite end to the concealer, made sense to give this a go too! At first I wasnt too impressed with this mascara, its a volumising and lifting one.. so it claims.. When it is first opened and really wet I found it gave me spider lashes which I really dont like, and didnt really do what it said on the tin. However once the air got to it a bit and it dried out slightly... I loved it! Created great volumised long lashes. Why is it that some mascaras are better when they dry out a bit (should I know this as a beauty blogger? Answers on a postcard!) I would be tempted to purchase this full sized. Just in my head doesnt make sense that I would have to put up with crap lashes for a bit before I get the desired effect! 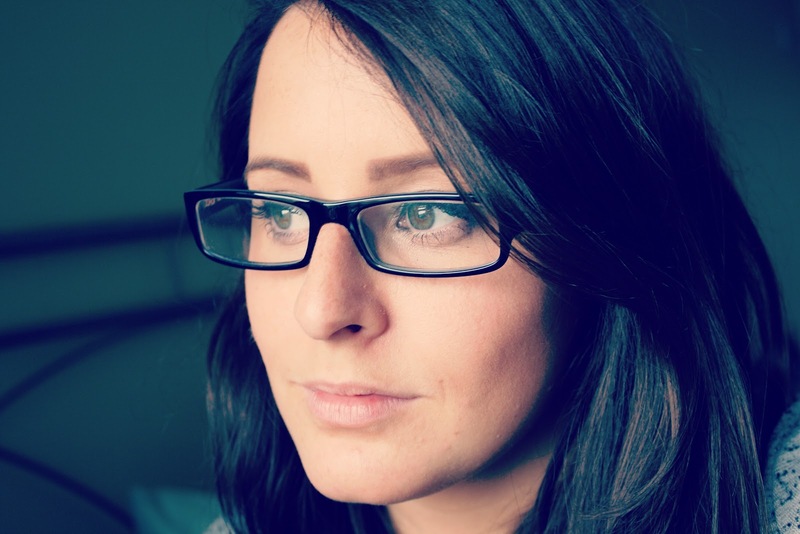 Review : 'Fresh Fish' revitalising dry shampoo. I recieved this dry shampoo in my little package from Keep me inspired, for winning blog of the month in August. Now Fish is a brand I always associated with male haircare, so it was a nice surprise to find out that they also do a range for females too! I always use dry shampoo between washes, I don't do it so my hair looks 'washed', it's just a nice little pick me up when my hair looks a bit 'blah'. I'll admit that I dont often stray from my usual batiste, however I thought I would give this fish revitalising dry shampoo a try & I have to say I am really impressed! It does leave that slight white residue on your hair once you have sprayed, however I did find that it wasnt as hard to get rid of when rubbed in, compared to other dry shampoos that I have used. It isnt too strongly scented, it actually reminded me of the tropical batiste (my favourite scent) but not as strong, so this was a big plus for me! Like with most dry shampoos they give you that little bit of volume which is always nice. I did find that that instantly volumised my hair and made it look lovely! This has been my 'go-to' dry shampoo for the past week or so! It's really affordable so it will definitley be a re-purchase I think! Have you tried this dry shampoo, or anything else from the Fish range? Now as you all know I have been trying to get back on track with going to the gym on a regular basis, lets just ignore the little slips I have had due to being tired and ill. But apart from those little hiccups I am trying to become a bit of a regular down my gym. I usually will listen to a lot of cheesey pop music while in the gym. A lot of the time I just search the UK top 40 singles chart and pick a selection of songs from it to add to my playlist. However, I have found that the best types of music to listen to are remix'. 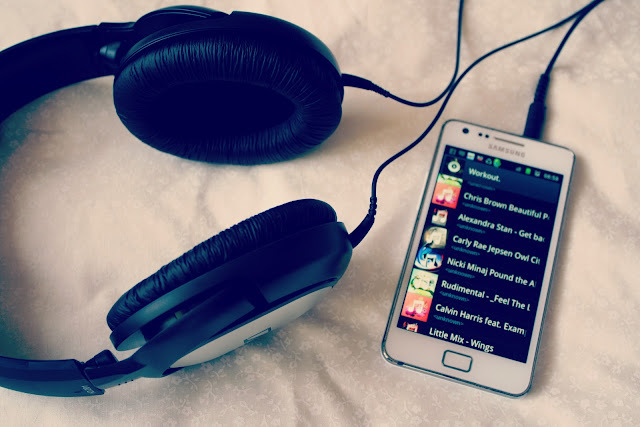 Dance music, or something with a really good beat gets me going. I know Tom prefers to listen to more heavier rock music when he is in the gym! Everyone is different. Remix wise I just go onto Youtube and search out different remixes of the songs I like to listen to. The best thing about remixes is that they are usually a little bit longer than the originial songs, therefore if you dont watch your timer and just keep going listening to your music you will probably end up working out for longer than you realised! So yeah.. this was a little insight to what is on my Gym playlist. I was thinking of making this into a little series, so every now and again I may mention someone who has some good workout music or just share with the some songs that are on my playlist. Let me know in the comments if you would like me to keep up with this sort of post and of course share your favourite gym songs! How to : Mr Fox nail art! Remember my cute Sugarhill Boutique fox print dress? Well to tie in with my beauty posts on my blog I was asked if I could produce some fox nail art that would go with the dress. Obviously I said yes! I am becoming a bit more experimental with my nails at the moment, so I figured why not! I did instagram a photo of my 'fox' nail art and there was a good response, so here's some simple step by step instructions on how to recreate it! 1. Choose a base colour. I went with a colour that was similar to the Sugarhill boutique fox dress, you know to keep everything co-ordinated! 2. Take a brown nail polish and paint the top half of your nail straight across to create the base for the face. Then, so go up either side to create the ears. It will be messy and you will get nail varnish up the sides of your fingers, however we have nail polish remover so it is fine! 3. Once that has dried take your white nail polish and paint the very top of your nail in a V shape. Using a kirby grip I filled in the white triangles for Mr Fox' ears! 4. Take your black nail polish and your kirby grips, paint two small dots for eyes and then another smaller dot for the nose just where the two white sides of the V meets. This could look cute with a pink nose - I'll have to try this out. 5. Finally give your fox nail art a bit of gloss with a topcoat of your choice and use the cotton buds dipped in nail varnish remover to clear up any mess left around your fingers. I did this one one accent nail, however if you wanted you could go all out and do it on all of them. It isnt too fiddily. Once you get the hang of the basic shapes you need to create with each colour nail varnish it can be finished in a few mins, depending on drying time of course! I hope you enjoyed this fox nail art tutorial, and that it was easy to follow! Also I said I would be announcing the winner of my Sugarhill Boutique giveaway today and the winner is....... MEGS!